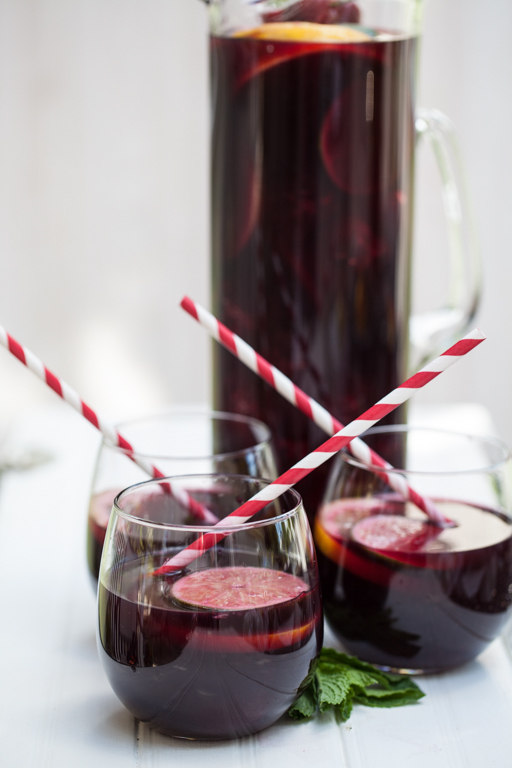 Ahhh, now that Summer has officially arrived - time to break out the Sangria! I was introduced to this recipe at my friend Pat's house. The recipe is from AllRecipes.com. I don't like it too sweet, so I cut the sugar in half and if you're substituting agave nectar, only about 2-2 1/2 tablespoons. I also skip the club soda, but add it if you like the fizz. So many great Sangria recipes out there, more to come in future posts! Enjoy!